Day 1 – Leave Tucson, Arizona and respective airports (LAX) to arrive in CAIRO. Day 2 – CAIRO: Reception at the Cairo International Airport. Assistance for the Visa requirements and transfer to the hotel. Day 4 – Buffet Breakfast. Depart for WADI EL NATURN/ALEXANDRIA following the steps of the Holy Family we will visit Wadi El Natron after crossing the Rosetta branch of the Nile to the western Delta and heading South (then called Al Asqeet) in the Western Desert of Egypt. It is said that Jesus blessed the desert in view of the four future monasteries that were built. After the visit we continue to Alexandria, 2nd largest city in Egypt and the home of St. Catherine of Alexandria. 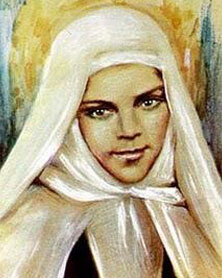 She is revered as one of the Fourteen Holy Helpers. We will also visit the site where the Blessed Virgin Mary miraculously cured Blessed Mary of Jesus Crucified. Back to Cairo, dinner, and overnight. Day 5 – Buffet Breakfast MOSTOROD /MATAREYAH/ZEITOUN/OLD CAIRO MAADI Today is a full day dedicated to visit the major stops of the HOLY FAMILY IN CAIRO. MOSTOROD: 7 MI. FROM Cairo named 'Al-Mahmma' means 'the Bathing place' because Our Lady bathed the Christ Child there. On the way back they stopped again and a spring gushed from the earth and still flows there today. 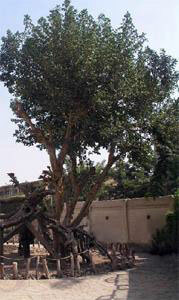 MATAREYAH/ZEITOUN: We visit 'Mary's Tree,' for the family is believed to have rested in its shade. It produces healing and pain-soothing properties, and its essence is used in the preparation of the scents and perfumes of which the Holy Chrism is composed. 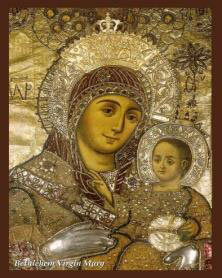 ZEITOUN is the place of an apparition of Our Lady on April 2, 1968. 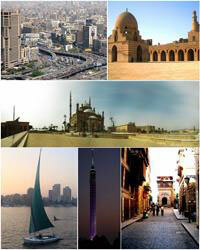 In the afternoon we will visit Old Cairo and Maady (name means 'the crossing point'). We will visit the historic church built on the spot where the Holy Family embarked. We will see the Holy Bible of unknown origin that was carried by the Nile to the bank of the Church. It was open to Isaiah 19:25 declaring: "Blessed be Egypt My people"
Dinner - Show on the Nile River Dinner Cruise. Day 6 – Buffet Breakfast. ST. CATHERINE. Departure from Cairo and drive to the Suez Canal, take tunnel and arrive at Sinai Peninsula. Visit springs of Moses then drive to St. Catherine. Dinner at the hotel. 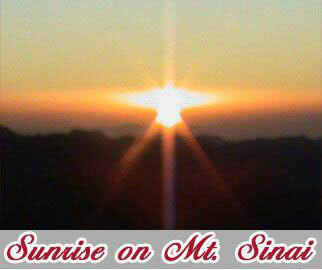 At midnight, departure to the Mount Sinai. Climbing to the place where the 10 Commandments were given to Moses. Meditation. Time to enjoy the splendid Sunrise in the Desert. Day 7 - Going down the Mountain for breakfast we visit St. Catherine Franciscan Monastery. Departure to Taba border. We will be met by our guide and continue through the Arava Road to the Dead Sea. Dinner and Overnight – Dead Sea Hotel. Day 8 - Buffet Breakfast. Free time to enjoy the waters at the lowest point on Earth, 420 meters under sea level. Depart to the Massada. Ascension by cable car to the Fortress built by King Herod. Depart to Qumran. Visit the site where the Dead Sea Scrolls were found. We will then drive to Bethany and visit Martha and Mary's home and St. Lazarus Tomb. Celebrate Mass. Arrive in Jerusalem. Triumphal entrance to the Holy City. Welcome Toast from the Scopus Mount. Day 9 – Buffet Breakfast. Visit the Mt. of Olives site of the Accession and visit Pater Noster, Dominus Flevit the Church of all Nations and Visit the Church of Gethsemane Garden. From there to Bethlehem. Visit the Church of Nativity, Caves of St. Joseph, St. Jerome and Cave of the Holy Innocents, and Shepherd's Field. 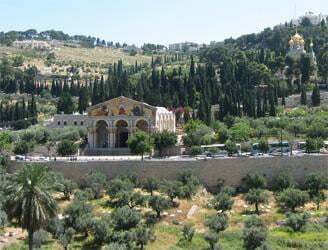 We will celebrate Mass at Carmel in Bethlehem, the home of Blessed Mary of Jesus Crucified. Return to Jerusalem. Day 10 – Buffet Breakfast. Depart to Ein Karem. Visit the Visitation Church. Celebrate Mass. Visit St. John Baptist Church. Afternoon visit to Last Supper Room, Dormition Abbey and King David's Tomb. Visit to St. Peter in Gallicantu, Jesus' path to court. Back to hotel. Dinner and overnight. Day 11 - Enter the Old City at the Western Wall. Visit the tunnel at the basis of the Western Wall. Enter the Old City. View Mosques of Al Aqsa and Omar, the Fortress Augusta, Bethesda Pool, and St. Anne Church. Start the Via Dolorosa from Flagellation Church to the Holy Sepulcher. Mass around 15:00. Lunch and shopping. Return to hotel for dinner and overnight. Day 12 - Buffet Breakfast. Travel throughout the Judean desert to Jericho. Ride the cable car to the Mt. of Temptations. From there to the Baptism site Ksr el Yehud. On the Jordon River. Then on to Nazareth. 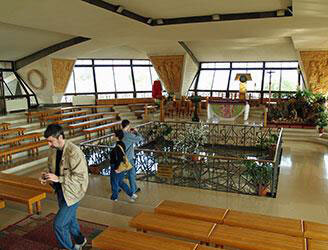 Visit the Basilica of the Annunciation and Mass. Visit the Church of Saint Joseph's. Return to Tiberius via Cana of Galilee, where the Wedding at Cana took place and the first miracle of Jesus. Opportunity for married couples to re-new their vows. Arrival to Tiberius. Day 13 – Buffet Breakfast. Visit Capernaum, including octagonal Church which was built on top of St. Peter's house with explanation of Synagogue where Jesus was praying. Visit Tabgha, place of Miracle of the loaves and fish. Visit the Church of the Primate of Peter then celebrate Mass at the Mount of Beatitudes. Visit the Ancient Boat that could well have been the one Jesus sailed on. Sail the Sea of Galilee to be dropped off for lunch of St. Peter's fish. Afternoon drive to Banias or Caesarea de Philippe in Upper Galilee at the base of Mt. Hermon. Return to Tiberius via Golan Heights, passing through the Druses Villages. Dinner and overnight, Tiberius. Day 14 – Buffet Breakfast. Depart with luggage for Mount Tabor; visit the Church of the Transfiguration. From there to Haifa, First Port of Israel. Visit Stella Maris Church and celebrate Mass. Travel the coast road to Caesarea and visit the Roman Theatre and Aqueduct. On to Jaffa the Old Port in Tel Aviv. Day 15 - Departure to the Airport to Delta for flight back home… with memories to last a lifetime. Mission Statement: JMJ Ministries is committed to providing pilgrimages (not vacations) to all people. This is only possible through the intercession of Our Blessed Mother, under the title of Rosa Mystica, patroness of Priests and Religious who guides us all the way. A booking may be cancelled but must be made in writing by either party. Refunds are returned upon the booking of another person to replace the refundable person. JMJ Pilgrimages acts only in the capacity of agents for the Airline and the Land Operator in all matters pertaining to Hotel Accommodations, sightseeing tours and transportation, whether by air, railroad, motor coach, motor car, steamship, boat or any other means and, as such, holds no responsibility for any damage(s) from any cause(s) whatsoever. JMJ Pilgrimages will not be responsible for any damage, expense or inconvenience caused by the air, rail, ship, boat or bus arrivals or departures or by any change in schedule or their conditions; baggage or any article belonging to the passenger. The right is also reserved to decline to accept or retain any person traveling under our auspices. The concerned are not to be held responsible for any act, omission or event during the time the passengers are not on board their plane or conveyance, or in the car, limousine or bus of ground transportation operators, or in the premises of hotels, pensions or other places of accommodation. The passenger contract used by the carriers concerned, when issued, shall constitute the sole contract between the carriers and the purchasers of this tour and/or the passenger. JMJ Pilgrimages is not responsible for any and all funds paid to the airline and/or land operator on behalf of the passenger which are the subject of refund, dispute, insolvency or any other reason whatsoever. The undersigned will indemnify and hold harmless JMJ Ministries from any and all liability whatsoever, including attorney's fees and costs, from any claims by anyone.